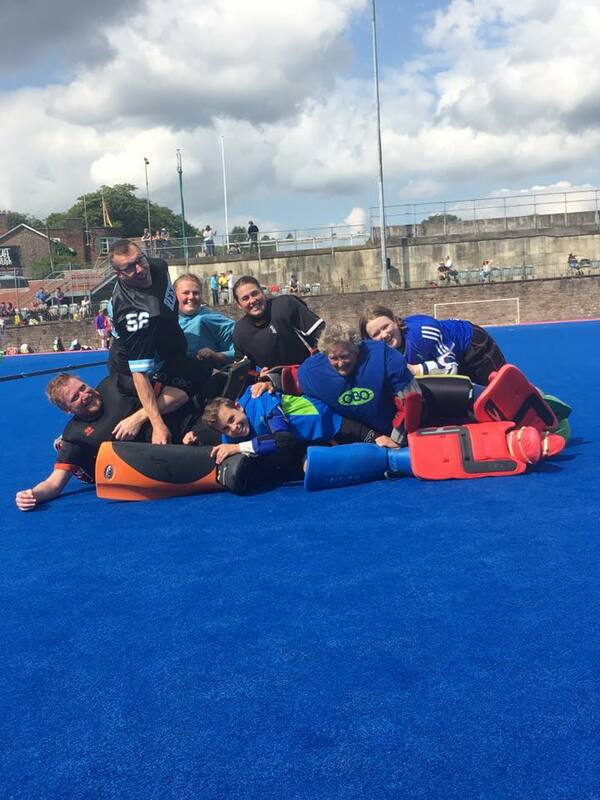 Sheffield Hockey Club is one of the oldest clubs in the country which benefits from being within a multi-sports venue at Abbeydale Park in south-west Sheffield. The club has a close partnership with Sheffield Hallam University, so our league teams play as Sheffield Hallam. We are proud to be one of the premier clubs in the North of England, home of the Olympic Legacy Pitch, providing an outstanding hockey experience from participation through to elite performance, welcoming players of all ages and abilities. We run 9 male and 5 female league teams. The men’s 1st XI play in the EHL North Conference and the women’s 1st XI play in the North League Premier Division. We are very proud to have produced and developed a number of players who have gone on to play for the home nations as well as in the Olympic Games for Team GB. A number of our club coaches have also progressed to the international level. We have even had one of our umpires officiate on the international circuit. Sheffield Hockey Club can also boast a number of highly successful administrators who help run Yorkshire, the North and England Hockey. We have a successful Junior section with over 200 boys and girls aged 5 to 16. U10s, U12s, U14s and U16s all have competitive matches, playing in the Yorkshire Youth Leagues. Many Sheffield juniors are involved in the England Hockey single system and play at every representative level. Over recent years a number have reached the National Age Groups and played for England. Off the pitch, we pride ourselves on an inclusive and welcoming social scene. With regular events through the season including our very popular Club Day and End of Season Dinner. We feel our club has three important strengths. Firstly, is our excellent junior section introducing hockey to hundreds of kids and developing them for a lifetime in the sport. Second, is our elite performance teams, playing at a very high level and receiving top quality coaching and resources. Thirdly, we strive to make every single member’s experience better each year, they are the club.